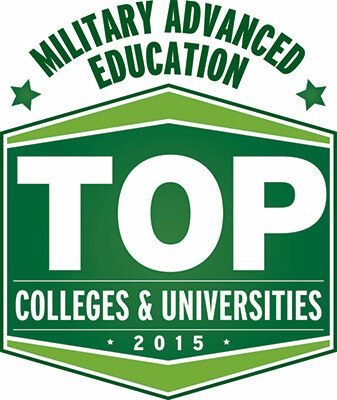 Belhaven University was awarded the title of Military Friendly School. The Military Friendly Schools' list honors the top 20 percent of colleges and universities that are doing the most to embrace America's military and veterans as students. We know that starting or completing your degree can seem an overwhelming task, but we are here to help you through the process. Below you will find answers to common questions among military students or contact us by e-mail or phone at 800-960-5940. Belhaven offers a tuition discount for active military, veterans and their spouses. Free evaluation of military training and experience for college credit is provided for all our military students. Belhaven University is authorized by the U. S. Department of Veterans Affairs to certify students who qualify for the Montgomery GI Bill®, Active Duty/Selected Reserves and Survivors' and Dependents' Educational Assistance Program, Reserve Education Assistance Program as well as those who qualify for the Post 9/11 GI Bill® and Vocational Rehabilitation. Belhaven instructors provide a biblical foundation for examining all of life, including education, work, and family. Belhaven University is regionally accredited and is ranked “Best Online Bachelor Programs” by US News and World Report. What makes Belhaven University a Military Friendly University? Belhaven University, member of the Service members Opportunity Colleges (SOC) network, offers a tuition discount to active military and veterans. We offer free evaluation of military training and experience for college credit. Belhaven also participates in the Yellow Ribbon program and other veteran’s benefits programs. What military benefits am I eligible to receive from Belhaven University? Belhaven offers a free evaluation of military training and experience for college credit. Belhaven is a member of the SOC network. We offer a tuition discount to active military and veterans. What if I don't know what I want to major in? Our enrollment counselors are here to assist you. We'll be happy to share with you the differences in programs and how each one might best benefit you, your personal goals, and your career. You can also check out each degree and requirements on our website. What military documents do I need to have and how do I obtain them? DD214 - If you are a veteran, please submit your DD214. You may learn more info on the DD214 website as to why this is important. DD295 - A military transcript - once this is submitted credit may be received for military training. You may download the transcript request form from this site. Can I receive college credit for my military training? Yes! Credit for specialized training received in the armed services will be granted on the basis of recommendations published in A Guide to the Evaluation of Educational Experiences in the Armed Services. Only those courses or programs that may be regarded as consistent with the curriculum at Belhaven University will be credited toward a degree. A student who presents evidence of at least six months of military training with an honorable discharge may receive a maximum of four semester hours non-academic credit in physical education. Other military training courses are individually assessed by the American Council on Education (ACE) recommendations. Alternative credit, including military credit, may not exceed 30 hours. Do you offer a military Tuition Discount? Yes! We do offer discounted rates to active military and veterans. See our tuition page for a full listing of programs and costs. Does Belhaven University participate in the Yellow Ribbon Program? Yes! The Yellow Ribbon Program is designed to help students avoid up to 100 percent of their out-of-pocket tuition and fees associated with education programs that may exceed the Post 9/11 GI Bill® tuition benefit. What happens to my aid if I get deployed in the middle of the semester? We will work with each individual student as they are deployed. You will not be penalized for your deployment. We appreciate your service and want to support you while you are away. Do you offer programs for military spouses? As a military spouse, you have a lot to balance and may be wondering how you can add an education to your list. Belhaven University understands the unique lifestyle of military spouses. Our flexible degree options allow you to continue with your education even when your schedule changes at a moment’s notice. In addition, Belhaven offers discounted tuition for military spouses. See the tuition page for more information. Belhaven also accepts the My Career Advancement Account (MyCAA) Scholarship. This program is designed to provide up to $4,000 of tuition assistance to eligible military spouses. For more information on this program, visit the MyCAA Program Page. Who do I contact with my military questions? Please contact us! You can fill out the More Information form above, email or call us at 601-968-8881. If you have questions about financial aid, you may contact studentaid@belhaven.edu or 601-973-7243. For specific questions about Veterans services, please call 601-968-8838.